Hello, my name is Keith Harrison. I specialize in Custom Tailored Beginning and Intermediate Acoustic and Electric Guitar Fundamentals to advanced playing skills. My goal is to help you start making great music and improve your skills quickly in a fun and easy to understand way. 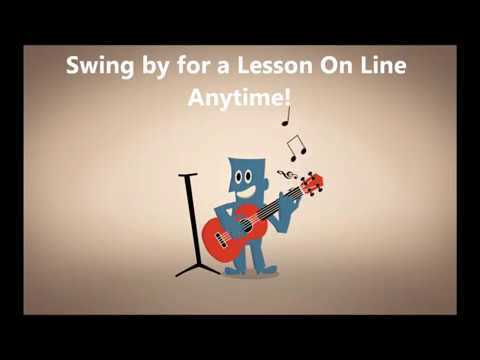 Lessons are based on YOUR personal goals and music interests. Learn the basic foundations and fundamentals then we dive right into your favorite songs and styles and focus on what interests you most. Learn finger chords, bar chords, chord inversions, songs, scales, tricks, tips, licks and riffs, pitch, harmony, ear training, how to solo and improvise all up and down the fretboard and more. I can also help you with singing, songwriting, recording, music gear and many other aspects of the music business. Whether your goal is to learn the basics, make a living as a guitar hero, or any level in between, I'm happy to share my music passion, skill and experience to help you get exactly where you want to be. I enjoy working with students of all ages and experience levels and I can't wait to meet you! Keith delivers an exceptional lesson experience and ranks in the top 15% of our teachers nationwide. I specialize in Beginning and Intermediate Fundamentals to advanced playing skills and know how to reach my students with the right balance of personalized attention, patience, practical training, and positive encouragement, making learning fun through a variety of engaging and unique personalized curriculums. Career Musician, guitarist, songwriter, vocalist, bassist, private instructor, recording producer/engineer, and screenwriter. I have had the pleasure of making my living doing what I love and pursuing my passion as a professional musician for many years and I take great pride in helping my students succeed and fulfill their passions for music. Credits include multiple songs with national airplay, number one song on LA radio 94.3 COOL FM, Featured song on KROQ's Kevin and Bean Christmas CD, Top seller in two categories on CDBaby, numerous southern California TV appearances including Good day L.A. Food Nation with Bobby Flay and Fox 11 NEWS (San Diego and L.A.), numerous song credits for television, independent short films, commercials and videos, numerous band and album credits. Performance places and venues include: Thailand, Ixtapa, Cancun, Turks & Caicos, Puerto Vallarta and Puerto Nuevo, KROQ and other radio sponsored major events, The Hollywood Palladium, House of Blues, Whisky, Roxbury Hollywood, Roxbury South, Viper room, Hard Rock Café, Coconut Teaser, The Galaxy, The Coach House, numerous major festivals and hundreds of other music venues including casinos, concert halls, nightclubs, corporate shows and private events. Discover Great New Music from Independent Recording Artists! Pro Guitar, Bass, Vocals, Songwriter, Studio Musician, Booking Agent, Audio Engineer, Music Producing, Private Music Instruction etc. Custom tailored guitar lessons at your home, mine or anywhere On-Line. Keith has the patience of a Saint, he’s friendly and very knowledgeable about music skills. I’m glad I registered for these classes and I’d definitely recommend him to anyone! Keith is fantastic! Not only does he know what he is doing but he is so much fun! I always have a blast! Funny, kind, patient, and talented! What else do you need? I’ve worked with Keith the past 25 years. In that time I’ve learned so much from him. He’s always eager to pass along what he knows about guitars, guitar playing, guitar equipment, anything and everything guitar. Keith Harrison is a stellar guitar teacher with over 30 years experience. He’s very patient, articulate and really knew how to hone in on specifically what I wanted to learn. Keith is an amazing instructor. His knowledge of the guitar and songs is extremely deep. He is very patient and easy going. Highly recommended! The experience and knowledge of various musical genres and guitar techniques is how Keith can help all levels of musicians improve their skill set. I highly recommend to everyone that they take advantage of this opportunity to work with one of the hardest working guitarists I know. Keith never fails to impress. Probably the best guitarist I've ever had the pleasure of working with. He's very patient, passionate, and knows everything there is to know about the guitar. I highly recommend him!